Barcas, 4, 46002 Valencia, Spanje. 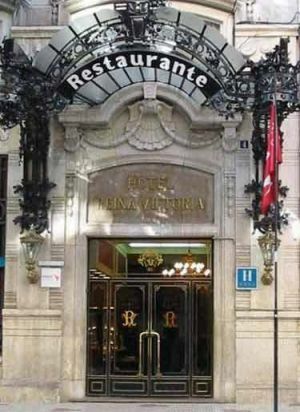 Hotel Husa Reina Victoria is a complete hotel in Valencia centre. 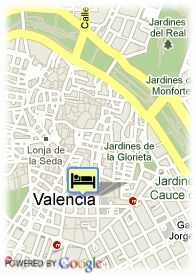 This four stars urban hotel is located in the fully centre of Valencia, very close to the Town Hall Square, and to a great number of pubs, shops, cinemas, restaurants, leisure and entertainment or servicies possibilities. It is situated in a classical style building which dates from 1913, totally refurnished with the most modern facilities in 2004. Its restaurant La Retonda impresses due to its buffet, and its bar victoria in English style allows the guests to enjoy peacefully a pleasant talk or a good chat together with an exellent service. It is a well-connected hotel then the closest bus station is situated at just fifty metres away, the underground station, at two hundred metres, the railway station at three hundred metres and the airport of Manises, at eight.